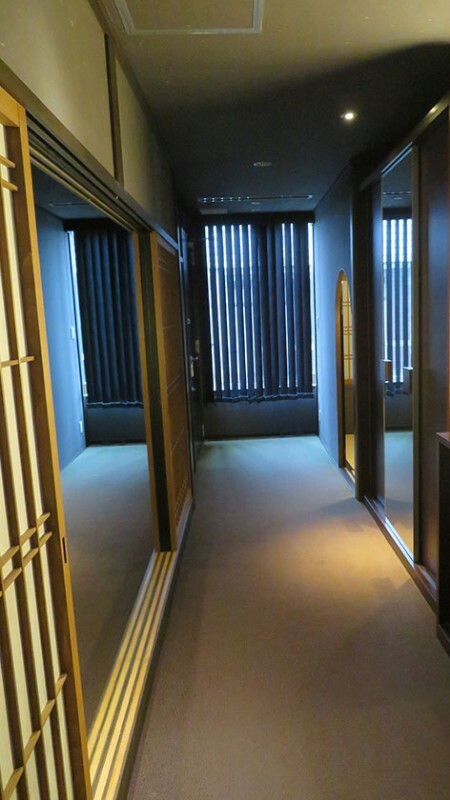 Kizashi The Suite is a luxury boutique hotel located in Kyoto’s historic Gion District. 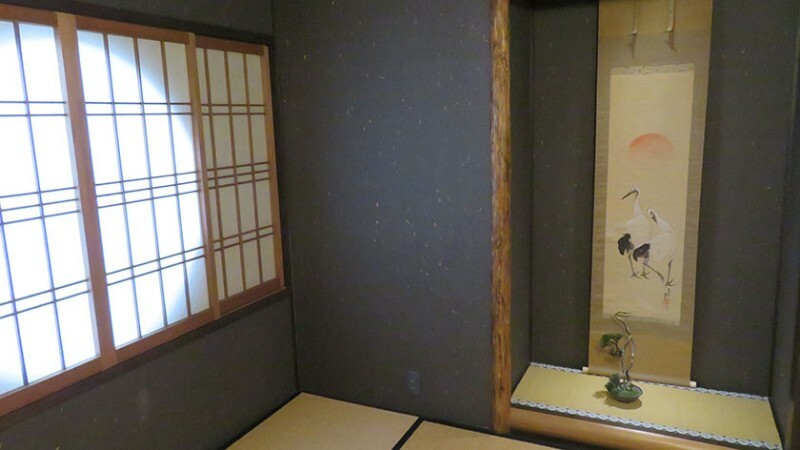 The hotel has a full concierge service, babysitting, shiatsu massage, full-course in-room dining prepared by a restaurant with over 300 years of history, and can even arrange geiko and meiko entertainment. 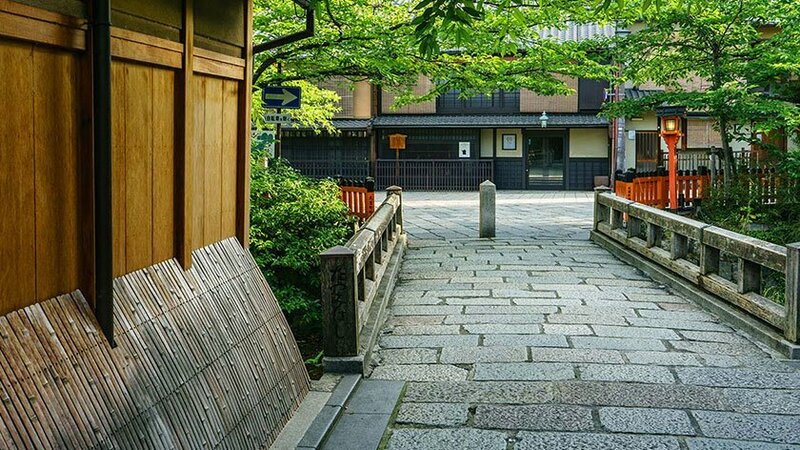 In addition to being in the Gion district, the hotel is only minutes away from Yasaka Jinja and Kennin-ji Temple. 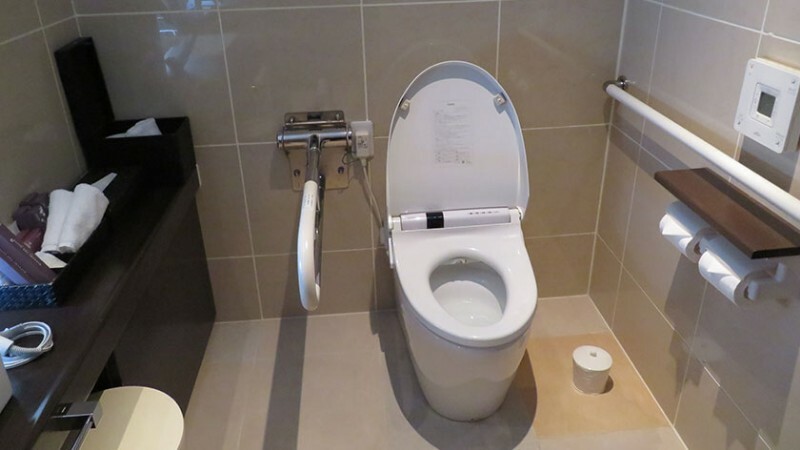 One of the eight exclusive rooms is wheelchair accessible. 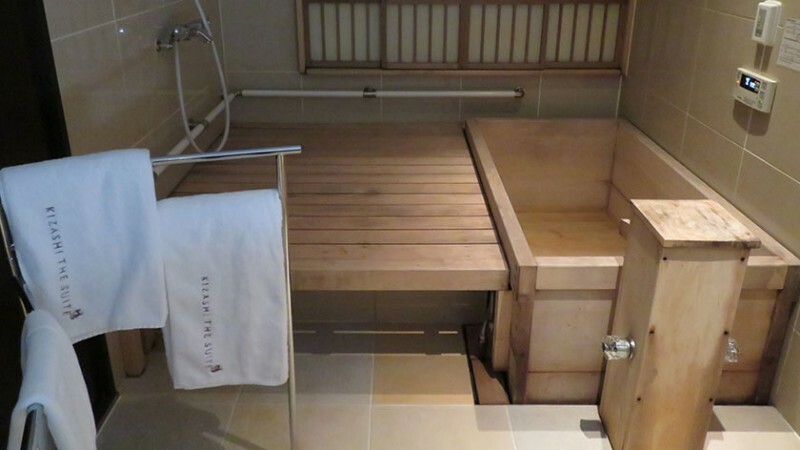 The specious 63㎡ Tsubouzu suite has a large king-size bed, tatami-mat room, accessible shower area, and a toilet with handle bars. 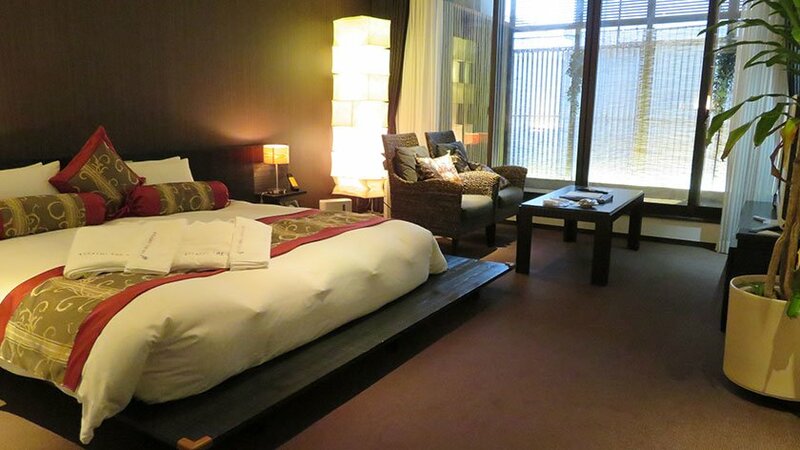 There is a step up to the bed but the mattress can be moved over to either side to provide an easy transfer. 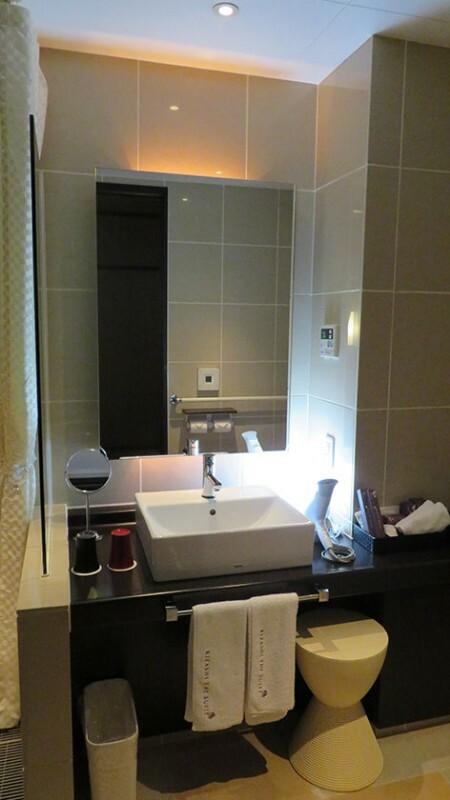 There is no shower char, however there is a large area next to the bath tub to sit or lay on while showering.